Thus writes my favorite novelist, Charles Dickens, in A Tale of Two Cities (1859), expressing a sentiment I’m sure we can all agree with at the end of this exhausting year. Our hobby continues to grow and expand, and for that we can be grateful, despite forebodings of doom from Capitol Hill and beyond. However, today is Christmas and yesterday marked the beginning of Hanukkah, so for today we choose Light. 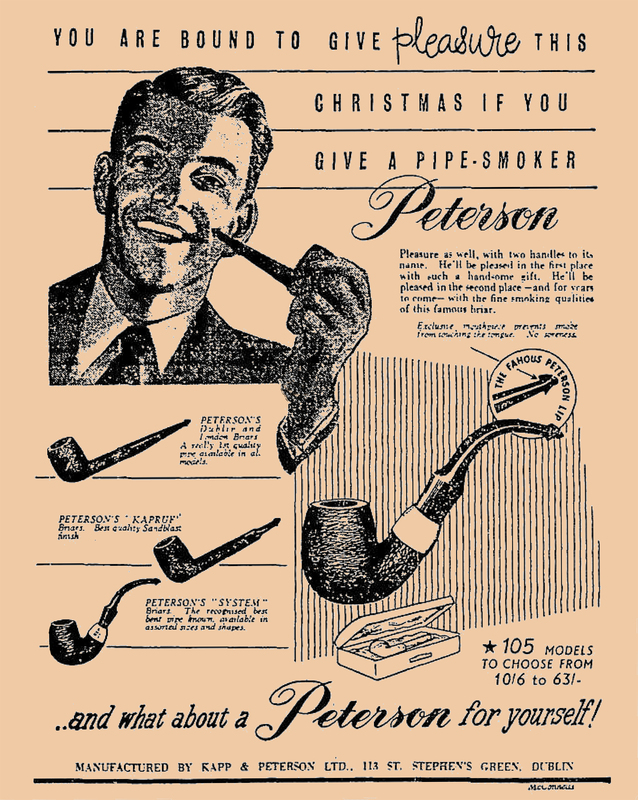 With that established, this year’s Christmas offering from Peterson Pipe Notes is a slender catalog (okay, really a brochure) from the dark days of “The Emergency,” as WWII was known in Ireland. You can read a bit about it in the historical note in the PDF, but for now I offer it as a slice of things to come, viz., The Peterson Pipe Catalogs, a companion volume to The Peterson Pipe: The Story of Kapp & Peterson, offering the collector in one volume a digital restoration of all the major Peterson catalogs and many of the minor ones. By now, faithful reader, you know how slow I am, but patience is a virtue (or so I’m told), and who has more of this precious commodity than we pipemen? Here’s an unrestored image of the catalog. Click on the blue 1940-peterson-catalog above to view or download your own restored copy of the restoration. 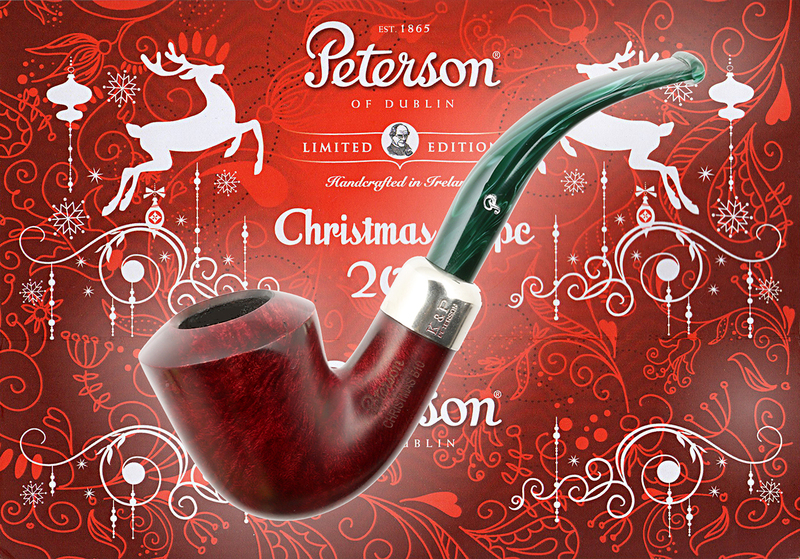 I hope you have a good pipe, maybe even a Peterson Elf Army, and your favorite seasonal tobacco to hand. Thanks for your continued patience with the book and all your encouraging words. At the prompting of Marc Dominguez, I’ve updated news regarding the book’s progress under The Peterson Book tab at the top of the page. We’re finishing up layout & design this spring, so 2017 should finally be the year! And in just two short years, God willing, we’ll all be able to raise a tot of Peterson’s “single pot still” whiskey—which isn’t being advertised yet, but I thought you ought to know. Good things come. What a Christmas treat. Thanks for making such a treasure available to Peterson enthusiasts world-wide. I’ll post this to the PIpesMagazine forum and look foward to the 2017 book releases. Merry Christmas to Mark and all! So many p-lips, so little time! So nice. Thanks (again & again), Mark… the ampersand is the p-lip of punctuation, I think. I’m ogling my new 2016 Elf Army B10 as I type! Merry Christmas Mark and thanks for the Holiday post! Merry Christmas, sir. Thank you for sharing this glimpse into Peterson history. I am elated to learn about the catalog compendium companion volume. I shall make extra room on the shelf!